Museums are treasure troves of information about where animals and plants live. Making the information available challenging – but you can help. Drop-in to meet Rachel Webster, Curator of Botany, preparing specimens of brambles to publish online. 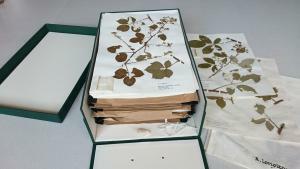 These specimens are from the personal collection of Alan Newton, a world expert in bramble identification, who donated his herbarium to the Manchester Museum in 2012. 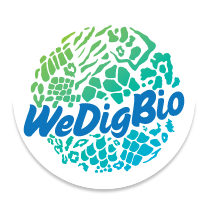 Find out about projects such ‘Notes from Nature’, ‘Herbaria@Home’ and ‘Reading Nature’s Library’ and have a go yourself at deciphering museum labels. Cleaning and preparing herbarium sheets on gallery with members of the public (drop-in). The sheets are being prepared for imaging (with the University of Manchester's Botanical Society) and will be uploaded on to Herbaria@Home. Computers in our new 'The Study' gallery space feature crowd-sourcing websites such Herbaria@Home and the Atlas of Living Australia and people will be demonstrating their use.